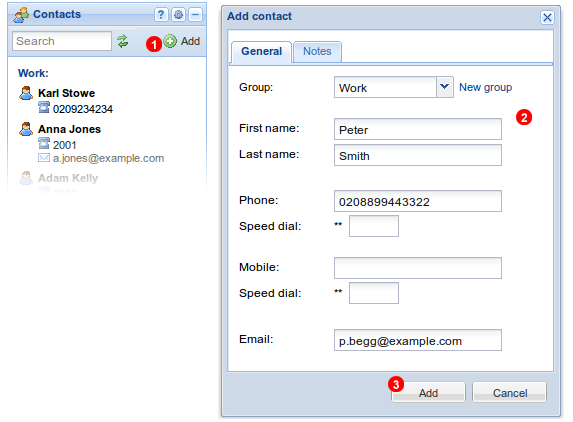 Contacts panel allows Administrators to manage Global Contacts list available to all Users. 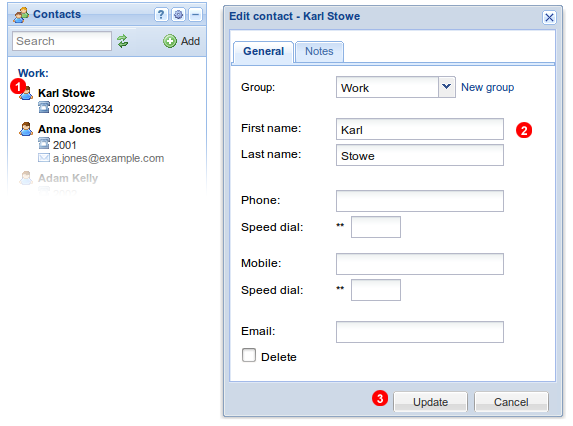 To add a Contact click Add button located in top right corner of Contacts panel - see (1) in the figure 15.2 above. Fill in the form (2) providing your contact details and click Add button (3). 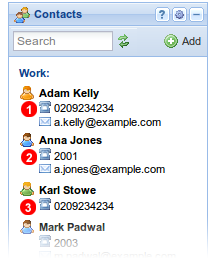 To import many contacts at once click gear icon in top right corner of Contacts panel - see (1) in the figure 15.4 above. 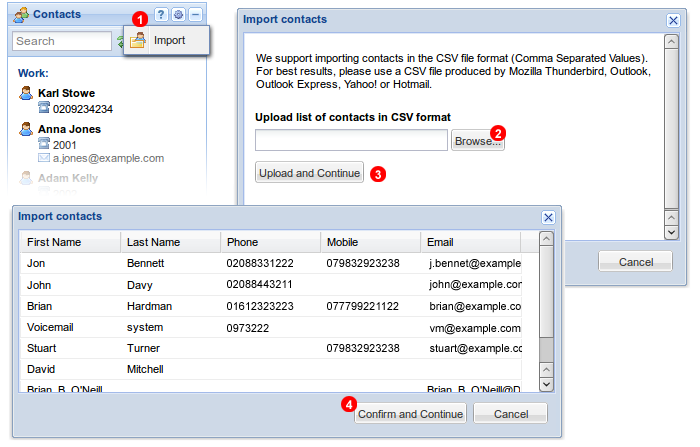 Select a .CSV file (2) with your contacts and click Upload and Continue button (3). Review details of your contacts and click Confirm and Continue to add all your contacts.